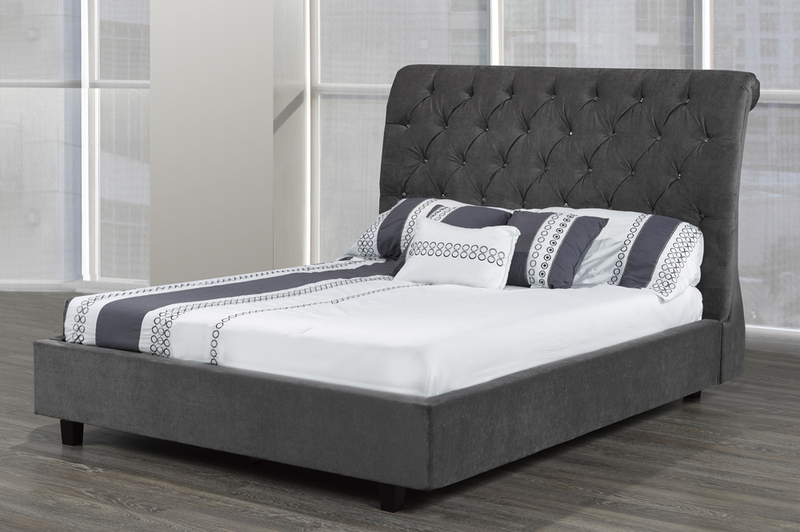 Available also with buttons or crystals tufting. 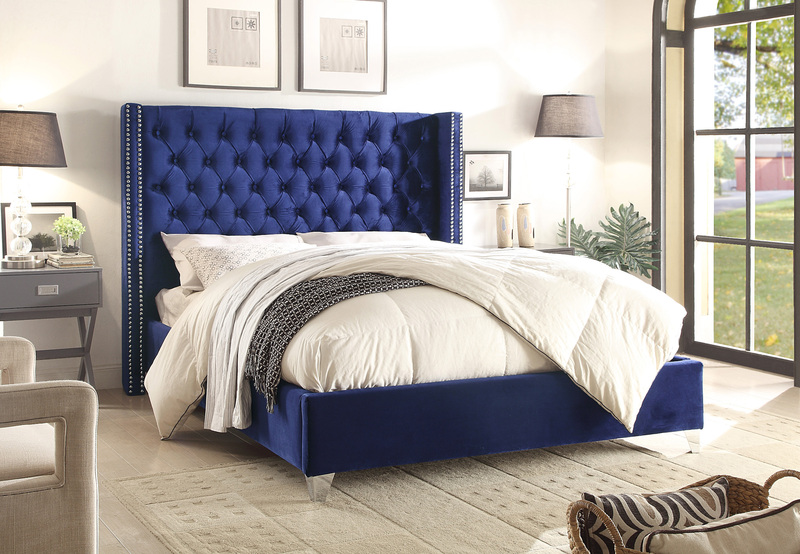 Simply put, this bed will take your breath away. 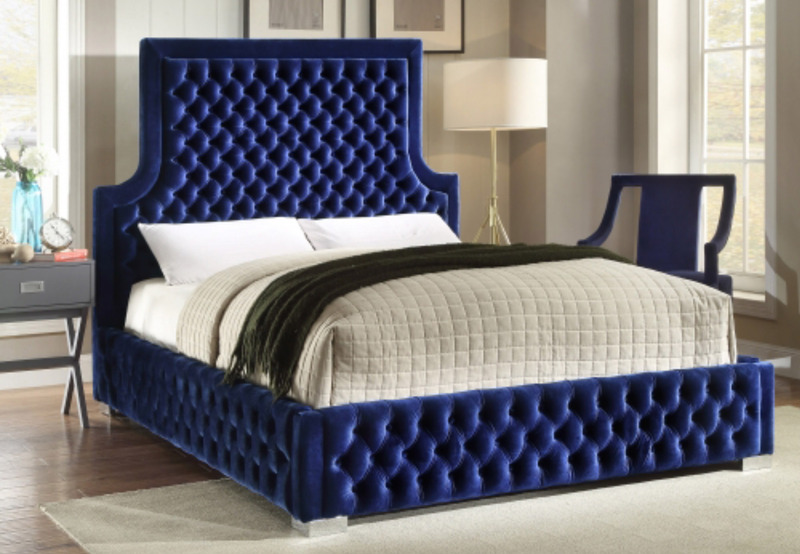 Featuring a deep-pleated, button tuft, this sleigh bed makes a grandeur statement. 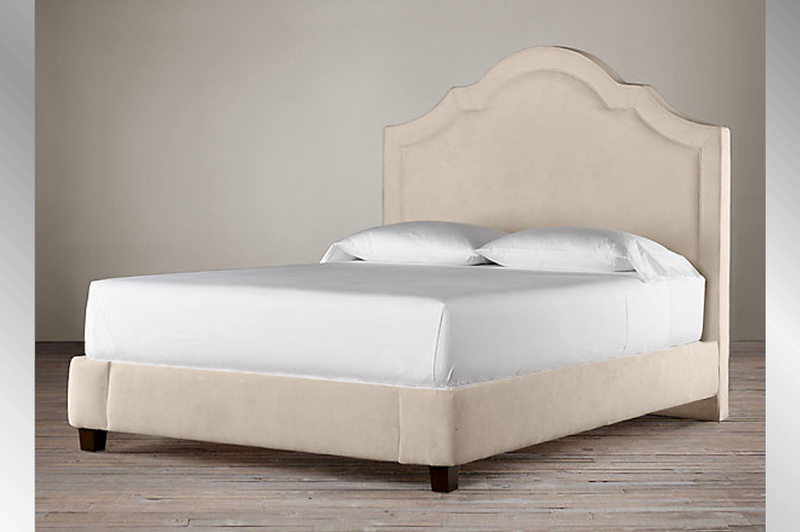 Traditional beauty and elegance will fill your bedroom suite with the addition of this exquisite upholstered bed. Choose from button or crystal inlays.